Impact 2818 is a ministry of the UMC open to all individuals, families, and faith communities who hope to use the resources of the camping ministry to share the Good News of the Gospel of Jesus Christ. The Impact 2818 Registrar provides registration support for campers and families attending Impact 2818 camps or wanting to book a retreat facility for their organization. The registrar office is located at the office for The Indiana Conference of The United Methodist Church which provides leadership, resources, and support for more than 1,120 UMC congregations ranging in size from 20 to 8,000 members in 10 districts across the state of Indiana. There are about 1,000 pastoral appointments to those churches, ministering to more than 200,000 adult members and 40,000 children and youth. Camp Adventure’s Impact Camps provide a classic camp experience, featuring action-packed adventures including: swimming, blobbing, paintball, low ropes, and high ropes. Most importantly, there is a deep focus on Christ through an amazing spiritual program including small groups, modern worship and opportunities to ask the tough questions about God. At Camp Adventure, we teach and explore the gospel with students through worship, stories, small group discussions, and feature activities. Each week has a different speaker and spiritual director to lead the students to a real and intimate relationship with our Savior. In Summer 2019, our curriculum is focused on knowing and being known by God with an even greater emphasis on teaching campers practical skills on how to continue that pursuit when they leave camp. Praise can be expressed in many different ways, therefore, we like to help campers become inspired by the Holy Spirit’s movement during different worship times throughout the week. Each week brings a new worship team to lead students to give their all to our Creator. Lookout Lodge, which also doubles as the dining room, turns into a sacred worship space with high-tech lighting and dynamically led music. Campers also have the opportunity to worship through exploring nature on our vast acreage, meeting in small groups, navigating through the Bible, and encouraging one another through activities like the low and high ropes courses. That Thing at Epworth Forest is a summer conference camp for high school students to come together in pursuit of Christ being lived out in their communities. There’s a ton of fun here but more importantly, this camp is about sending students out to put love and action into the root of their daily lives back at home. Hundreds of students will be on site each week from ninth grade through graduating seniors. Students get some supervised free time to explore recreation areas in groups, choose from different Creative Labs, grab snack at the Beach House, and relax in their lodge common rooms. At the core of That Thing is a passion for creating expressive and interactive worship spaces that draw on multiple learning styles to help students engage with the gospel and finding their own rhythm and connection with God. Bands and speakers spend time connecting with students throughout the day as well as on stage. Counselors and leaders help students through small group discussions in meeting new friends and unpacking the experiences of the week. Hannah Gronowski – Hannah Gronowski is the Founder and CEO of Generation Distinct (www.GenerationDistinct.com), a nonprofit that exists to empower young adults to discover the wrong they were born to make right, leading them to experience who Jesus really is. She has a passion to use her voice to empower others to become leaders God can use to create real change in the world. Hannah is also an author, with her first book to be released in 2020 with NavPress Publishers. She has spoken at Conferences, Churches, College Campuses, and Youth Events around the country. Modern Day Cure – Modern Day Cure is a worship band led by Aaron and Tamar Chipp. Based in Nashville, TN the married-duo’s heart is to exalt Jesus, share His truth, and see people changed by His power. Their name is inspired by Hebrews 13:8, which states, “Jesus Christ is the same yesterday, today, and forever.” This truth makes Him the modern day cure. They believe Jesus is the answer the world needs today. For students who come from churches where leaders aren’t able to attend or there aren’t enough students to get group lodging, we’ve created intentional spaces and opportunities to come and experience That Thing. These experiences are for students (roommate request’s available) who enjoy meeting lots of new people. Everyone in the cabin will probably only know 1-3 other people. There are no concerns, everything is taken care of from the fun to worship. That Thing’s Campus House Counselors plan development time for students to connect, get to know one another and open up throughout the week. The experience is about connecting them with each other so that as a created community they can support, encourage and challenge one another in Christ during that week. Students in the Campus Houses get to experience everything That Thing has to offer. They still get the individual freedoms in what activites they plunge into and where they spend their time as they can pick and choose activities and experiences perfect for their likes and styles. The Campus House is the best option for students coming to camp individually; church leaders are invited and encouraged to come be counselors, contact us for counseling info. Steve Carter – For the last two decades, Steve has been discovering what it means to be a pastor. From serving as the lead teaching pastor for Willow Creek Community Church to writing and speaking all over the world, his heart’s desire is to bring Jesus into every conversation and every space I occupy. His book, This Invitational Life, calls people to risk themselves to align with God’s heartbeat for humanity. He’s also the co-host of the Relevant Sports Podcast, a weekly show that talks about the intersection of sports, culture, and faith. Currently, He lives outside Chicago with His wife, Sarah, and their two kids. A Modern Day Cure – Modern Day Cure is a worship band led by Aaron and Tamar Chipp. Based in Nashville, TN the married ministry-duo’s heart is to exalt Jesus, share His truth, and see people changed by His power. Their name is inspired by Hebrews 13:8, which states, “Jesus Christ is the same yesterday, today, and forever.” This truth makes Him the modern day cure. They believe Jesus is the answer the world needs today. Horse camp is very similar to a traditional camp experience with meals, cabins, and worship. However, two thirds of horse camper’s activity time is spent in the Barn learning basic animal husbandry and riding skills. The nature of this camp is to give campers a normal camp experience with a focus on Horse care and riding. This camp is express style meaning it is a shorter camp time than normal. Instead of 6 days, 5 nights you only spend 4 days and 3 nights! Great for those with limited summer availability. Have all the same fun but in a shorter time span! Horse campers get to experience one of the most beautiful creatures God created in a close and personal setting. During training, campers learn how God cares for all of his creation big and small. This along with regular camp worship times and personal devotions allows campers to grow closer to God and learn more about who God is and why he is important. And other fun camp activities! Little to no experience with horses is needed. Introductory horse lovers will find a welcoming and encouraging space to interact with and build comfort with horses as you progress from foundation to advanced skills regardless of age. Long Time & Experienced Riders will find a great experience discovering more about horses and participating in peer leadership throughout the event as they strengthen and further develop their skills. Horses will be provided. Let your horse enjoy a small vacation staying at home this week while you get to discover a new relationship with a new equine friend at camp. Express camp offers all the same fun and activities as any camp but in a shorter time frame! Instead of a traditional 5 night stay we shorter the time to only 3 nights! In that time campers get to participate in fun activities like archery and low ropes while still getting worship times and camp cookouts. This week is excellent for busy summers or those who might be trying out camp for the first time! As our campers grow we want to keep engaging them in new and exciting ways. During this week of camp children will participate in fun worship times with games and activities. Not only that but they will learn about the love God has for them and how they can spread that love outside of camp. The goal of this week is to have campers learn how God works around them and how to identify God in their day-to-day life. A perfect first time overnight camp experience for young children to explore nature while being loved and encouraged. We hope that each young child will head the story of love that come through Jesus Christ and begin a journey to know Him more. New in 2019 is an enhanced focus on character, group interactions, & friendship skill development to help children better engage in social situations & everyday moments throughout life. 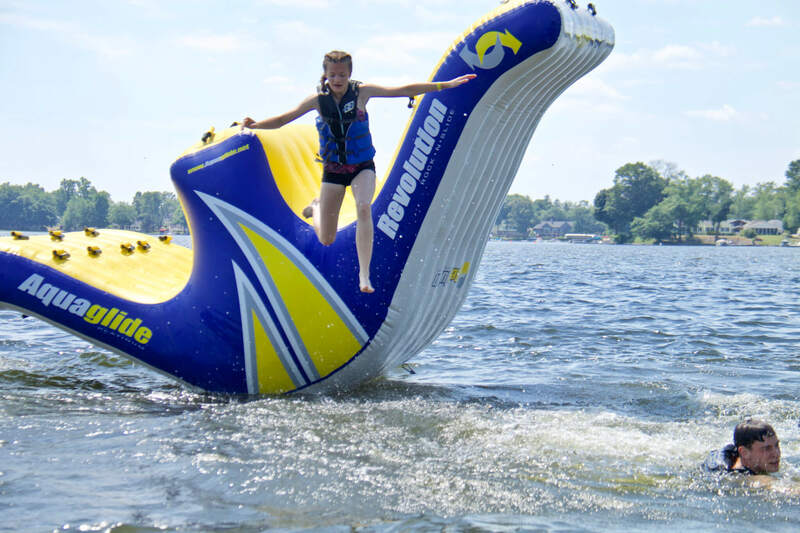 Express camp offers all the same fun and activities as any camp but in a shorter time frame! Instead of a traditional 5 night stay we shorter the time to only 3 nights! In that time campers get to participate in fun activities like zorbing, while still getting worship times and camp cookouts. This week is excellent for busy summers or those who might be trying out camp for the first time! Because many of our campers are first timers during this camp and experiencing it all for the first time our leaders do an excellent job of tailoring camp for the younger generation. Worship and devotion time is filled with activities and games to engage campers in new and exciting ways. The goal is teach campers about God and how they can experience Him in everyday life. Horse campers get to experience one of the most beautiful creatures God created in a close and personal setting. During training, campers learn how God cares for all of his creation big and small. This along with regular camp worship times and personal devotions allows campers to grow closer to God and develop a personal relationship with Christ. Matt Boyle – Matt Boyle has been a pastor and Bible teacher for 13 years. He has been a Youth Pastor, Teaching Pastor, and Senior Pastor. One of Matt’s favorite things in the world is to study the Scriptures and creatively put together a sermon for whoever will listen. His podcast, What’s True For Everybody, explores the beautiful truths of Jesus and the Bible in a way that’s true for everybody. Some of his other favorite things are watching the Chicago Cubs, playing outside, and eating tacos. Matt has been married to his bride, Corrie, for 12 years. They have a seven-year-old daugher named Nyleigha (Ny-lee-a) and a five-year-old son named Parker. The Boyle family lives in Fort Collins, CO. This will be Matt’s fourth summer teaching at That Thing. Camp Adventure’s Day Camp provides experiences much like vacation bible school, but with classic camp adventures added in. It runs from 8:30am-5pm Monday-Wednesday for one week. Day Camp features action packed adventures including swimming, blobbing, rock climbing, ziplining, slip ‘n sliding, and low ropes. Most importantly, there is a focus on Christ through a spiritual program including worship and opportunities to learn about Jesus’s love through stories and devotions. We teach and explore the gospel with students through worship and stories. Each week has a different speaker and spiritual director to lead the students to a real and intimate relationship with our Savior. As part of Impact 2818, we major on the majors and minor on the minors. We keep teachings and spiritual focus simple to recognize and value the unique differences in beliefs and values of the Christian spectrum both in and out of our United Methodist denomination. Our majors include: Jesus Christ is the path to salvation, God values all people and we reflect that attitude, and as believers we are called into a lifetime of discipleship and service in the world. Every student will make a decision of some sort regarding Jesus Christ. That decision may be: an acceptance of Jesus as Lord and Savior, to continue seeking God’s will in their life, or to do nothing. Even choosing nothing is making a decision, and whatever students choose is okay. We cannot determine, judge, qualify, or eliminate God’s timeline. Where God harvested in one student’s spirit, God may have watered another’s and planted seeds in still another’s. It is essential to value all students and all decisions as good and part of God’s holy plans. Campers will experience a variety of worship songs throughout their week in Lookout Lodge, which doubles as the dining hall. Each day brings a new scripture focus and campers are rewarded for memorizing the verse of the day! Crafts, recreation, and feature activities are all connected to God’s love for us and His power through us enabling us to do all things through Him. We teach and explore the gospel with students through worship, stories. Each week has a different speaker and spiritual director to lead the students to a real and intimate relationship with our Savior. As part of Impact 2818, we major on the majors and minor on the minors. We keep teachings and spiritual focus simple to recognize and value the unique differences in beliefs and values of the Christian spectrum both in and out of our United Methodist denomination. Our majors include: Jesus Christ is the path to salvation, God values all people and we reflect that attitude, and as believers we are called into a lifetime of discipleship and service in the world. Every student will make a decision of some sort regarding Jesus Christ. That decision may be: an acceptance of Jesus as Lord and Savior, to continue seeking God’s will in their life, or to do nothing. Even choosing nothing is making a decision, and whatever students choose is okay. We cannot determine, judge, qualify, or eliminate God’s timeline. Where God harvested in one student’s spirit, God may have watered another’s and planted seeds in still another’s. It is essential to value all students and all decisions as good and part of God’s holy plans. What is Middle School Camp? Glad you asked! Middle school camp is a week long, overnight camp designed for 6th – 8th graders. The week is filled with a large assortment of activities from high ropes to Middle School week specific “Redneck Paintball.” While having fun, campers learn how to grow close to God in a variety of ways including events like Commitment Night and Stations night. As your child goes through the camp week they develop skills and knowledge that enables them to grow deeper in their faith, and to start making commitments to Christ. Through experience and worship campers find and build their relationship with God. Modern Worship Setting and more! Our Home In The Woods, small group times, will focus on interpersonal and social skill development this year. The goal is to help amplify the students’ capacity to connect more deeply in their home communities. How is Horse Camp Different? Horse camp is very similar to a traditional camp experience with meals, cabins, and worship. However, two thirds of horse camper’s activity time is spent in the Barn learning basic animal husbandry and riding skills. The nature of this camp is to give campers a normal camp experience with a focus on Horse care and riding. Have all the same fun but with horses too! Horse campers get to experience one of the most beautiful creatures God created in a close and personal setting. During training, campers learn how God cares for all of his creation big and small. This along with regular camp worship times, devotional activities, and big events like Station night, allows campers to grow closer to God and develop a personal relationship with Christ. Ricky Ortiz – Pastor Ricky Ortiz lives on the Upper East Side of Manhattan along with his wife, Krista, and daughter, Gia. He’s the founding and lead pastor of Meta Church [metachurch.cc], a brand new church plant in the heart of New York City. He’s passionate about communicating God’s Word with relevance and authenticity so people can connect with who God is and the purpose He has for their lives. Glad you asked! Elementary Camp is a traditional Christ centered overnight camping experience for elementary students grades 3rd – 5th. Campers will enjoy everything good about being outside, like campfires, to fun activities you can only get at camp, like giant swing! Coupled with devotion times and worship this week of camp helps Elementary students learn about God while having fun! While having a ton of fun doing things like the rock wall, campers will engage with God through every activity. Before each event they will reflect on a Bible story paired with that event. (ie. Goliath Swing – David fought off his fear of Goliath and was triumphant) Not only this but each day offers times of worship and devotions that will engage each camper with God and allow them to discover something new about Him. Through camp, we hope that every child will experience a loving and encouraging environment where they feel safe to explore Christ through scripture, questions, service, and community. New in 2019 is an enhanced focus on character, social, & friendship skill development to help children better engage in social situations & everyday moments throughout their lives. Horse camp is very similar to a traditional camp experience with meals, cabins, and worship. However, two thirds of horse camper’s activity time is spent in the Barn learning basic animal husbandry and riding skills. The nature of this camp is to give campers a normal camp experience with a focus on Horse care and riding. Basically, have all the same fun but with horses too! Horse campers get to experience one of the most beautiful creatures God created in a close and personal setting. During training, campers learn how God cares for all of his creation big and small. This along with regular camp worship times, devotional activities, and engaging with fellow campers allows our Horse campers a unique opportunity to engage with God and learn more about Him. 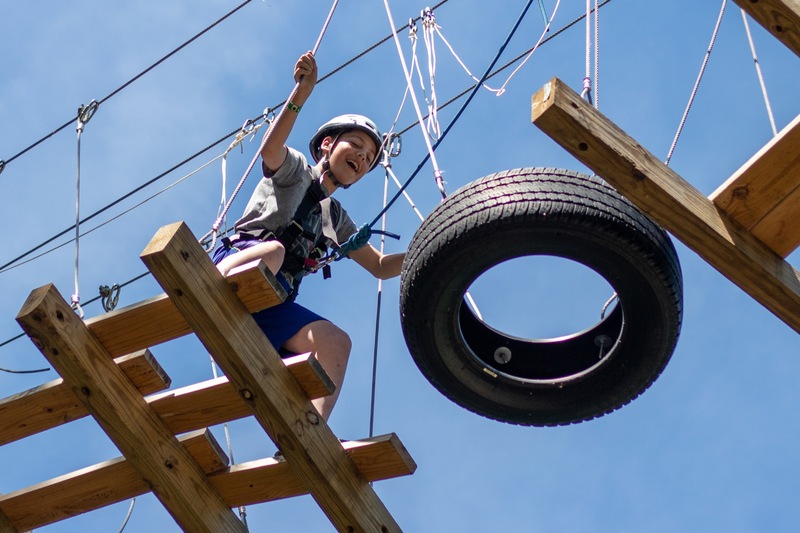 Camp Adventure’s Impact Camps provide a classic camp experience, featuring action-packed adventures including: swimming, blobbing, paintball, low ropes, and high ropes. Most importantly, there is a deep focus on Christ through an amazing spiritual program including small groups, modern worship, and opportunities to ask the tough questions about God. You will need a discount code to register for this event; per GLS guidelines, that code cannot be posted on our website, please call 574-834-2212 or email us. Then, Register Here! Craig Groeschel is the senior pastor of Life.Church, an innovative church meeting in multiple U.S. locations and globally online. Known for its missional approach utilizing the latest technology, Life.Church is the creator of the YouVersion Bible App—downloaded in every country. Named in the top 25 CEO’s in the U.S. (small and midsize companies) by Glassdoor, Groeschel is a New York Times best-selling author, speaks frequently around the world and hosts the Craig Groeschel Leadership Podcast. and iTunes. For her innovative work, Saint John has been recognized on Fast Company’s 100 Most Creative People list. 20 speaker. In her book, Beginner’s Pluck, releasing at the Summit, Bohannon uses her journey to explore 14 principles for not finding, but building a life of purpose, passion and impact. An advocate for fostering and adoption, Dr. Kandiah is the founding director of Home for Good, a charity seeking to find permanent loving homes for children in the UK foster care system. He is the author of 13 books including his latest, Faitheism: Why Christians and Atheists have more in common than you think. He is a regular broadcaster on the BBC and a contributor to the Guardianand Times of London. An international speaker and consultant, he offers both creativity and academic reflection to bring strategic change, culture shift and innovation. Dr. Kandiah and his wife have 7 children through birth, adoption and fostering. Todd Henry teaches leaders and organizations how to establish practices that lead to everyday brilliance. As host of The Accidental Creative Podcast—with millions of downloads—Henry delivers weekly tips and ideas for staying prolific, brilliant and healthy. He is the author of four books, including Die Empty which was named by Amazon as one of the best books of 2013. Henry’s latest book, Herding Tigers, Be the Leader that Creative People Need, is a practical handbook for anyone charged with leading people and teams to creative brilliance. by the FBI, but by Scotland Yard and Harvard Law School. In his book, Never Split the Difference: Negotiating As If Your Life Depended On It, Voss breaks down these strategies so that anyone can use them in the workplace, in business or at home. The Truth About Men: What Men and Women Need to Know. Franklin is dedicated to using his leadership and the media as a powerful tool to encourage millions of lives around the world. For more information, visit the Global Leadership Summit website. You will need a discount code to register for this event; per GLS guidelines, that code cannot be posted on our website, please call 574-834-2212 or email us. Then Register Here! We have the honor of hosting a Private View Site for GLS, meaning you get a largely discounted price to grow in your leadership development at our site for being connected to our organization. Contact us at 574.834.2212 to purchase meals during the event. Freeland Hotel, Wesley House, or Parkview and Jubilee could all be great fits for your group. Private rooms, dorm rooms, private and shared bathrooms…we have whatever your group needs! Pine Creek is a privately owned camp run by the Indiana Conference of the United Methodist Church. During the Spring, Summer and Fall season we are open to retreat groups, custom camps and Impact camps. We strive to teach youth and families about Christ and develop relationships with each other and God. Due to our nature of work Pine Creek is closed to the public. However, once a year we open our gates and allow any who wish to see our site to visit us and check out our facilities. This year our dates coincide with Pine Village’s community events and we hope you will add us to your list of places to stop at while out and about! We will have zorb balls running for anyone to check out. Don’t know what zorbing is? All the more reason to stop by and check it out. We will also be giving guided tours of the grounds and camp staff will be on-site to answer any questions you may have. As we get closer to the date more information will be posted about the day’s activities and any other relevant information you may need to know.